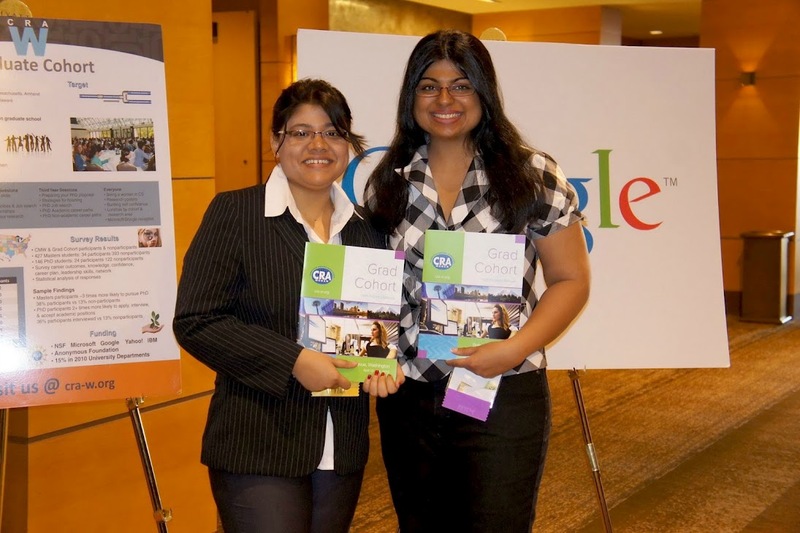 Google was recently a sponsor of the 2012 CRA-W Graduate Cohort. This two day workshop is for women in graduate school in Computer Science or a related field. The goal is to increase the ranks of senior women in computing by building and mentoring communities of women through their graduate studies. This unique event welcomes new women graduate students into the community of computing researchers and professionals by providing them with a broad range of strategies and role models. 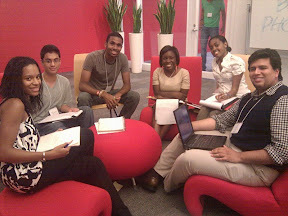 Students met for two days on topics such as grad school survival skills to how to interview for a technical job. The workshops included a mix of formal presentations and informal discussions and social events. Google has sponsored this event for several years now in an effort to support the CRA community to increase the number of women participating in Computer Science and Engineering research and education at all levels. Three software engineers from our Seattle/Kirkland office also presented during the conference in six different workshops, including Dana Zhang ("Master’s vs. PhD: Which one to Choose?" and "PhD Job Search"), Lamia Youseff ("Being a Woman in Computing" and "PhD Non-Academic Career Paths"), and Frances Perry ("Summer Internships" and "MS Job Search & Resume Writing Clinic"). Over 70 women presented their research at the annual poster show, developing their presentation skills while engaging with each other and representatives from sponsor companies. The topics ranged from "Modeling and Enhancing Android’s Permission System" to "Bringing Computer Science Education to Low and No-Technology Communities". 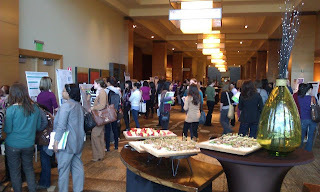 The poster session was followed by a reception sponsored by Google and Microsoft Research. 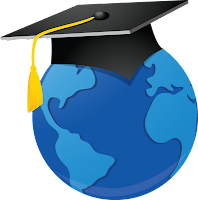 A report from the National Science Foundation in 2011 reported findings that show that Grad Cohort has a positive impact on the graduate students who participate. The study relevant to Grad Cohort sought comparison data from students completing their graduate degree in computing between September 1, 2010 and August 31, 2011. Past Grad Cohort participants were recruited to participate in this survey. For those completing master’s degrees, 85% of participants rated themselves as knowing “some” or “quite a bit” compared to 70% of nonparticipants. About 71% of PhD participants, compared to 37% of PhD nonparticipants, have served on departmental, conference, or professional society committees at least once in their graduate careers. 64% of PhD participants report conferences as a significant source of job information, compared to 31% of nonparticipants. Overall, the event was a wonderful celebration of all the attendees' graduate studies and research. The Grad Cohort was filled with mingling with other graduate students, networking with sponsor representatives and culminated in a dance party extravaganza. We really enjoyed meeting everyone at the conference and wish them continued success. honors the memory of Dr. Anita Borg, who devoted her life to encouraging the presence of women in computing and founded the Institute for Women in Technology in 1997. The Google Europe Scholarship for Students with Disabilities aims to help dismantle barriers that keep students with disabilities from entering computing, encourages them to excel in their studies and become active role models and leaders in creating technology. This year we’d like to recognize and congratulate the 40 Google Anita Borg Memorial Scholars, 10 Google Scholarship for Students with Disabilities Scholars and the 37 Google Anita Borg Memorial Finalists, all of whom attend universities in Europe, the Middle East or Africa. Here is a full list [PDF] of this year’s Scholars and Finalists, along with the universities they attend. These students will attend the annual Google EMEA Scholars’ Retreat this summer, where they will have the opportunity to attend tech talks on Google products, network with other scholars and participate in social activities. The retreat will be held in June in the Google Zurich office, Switzerland. For more information on all our scholarships and programs, visit the Google Students site. The Google Anita Borg Memorial Scholarship honors the memory of Dr. Anita Borg, who devoted her life to encouraging the presence of women in computing and founded the Institute for Women in Technology in 1997. The Google Europe Scholarship for Students with Disabilities aims to help dismantle barriers that keep students with disabilities from entering computing, encourages them to excel in their studies and become active role models and leaders in creating technology. Dr. Anita Borg devoted her life to revolutionizing the way we think about technology and dismantling the barriers that keep women and minorities from entering the computing and technology fields. In honor of Anita's vision, we established the Anita Borg Memorial Scholarship in 2004, awarding scholarships to women who share her passion for technology. Once again, we’re proud to announce the Google Anita Borg Memorial Scholarship in Asia. The deadline to apply for the 2012 scholarship is June 3, 2012. The Google Anita Borg Memorial Scholarship: Asia is open to current female students who are enrolled in full-time undergraduate or postgraduate study at an university in any of the following countries: Korea, Japan, Singapore, Thailand, Malaysia, Indonesia, Philippines, and Vietnam. Students should be enrolled in a computer science, computer engineering or a closely related technical program, and maintain a record of strong academic performance. This year, we will be expanding our efforts by inviting all scholarship recipients to visit a Google office in Singapore for a networking retreat where students will be able to meet fellow scholars from all over the Asia Pacific region. This includes students from the eight countries listed above as well the from Australia, China Mainland, Taiwan, India, and New Zealand. The retreat will include workshops with a series of speakers, panels, breakout sessions and social activities, and will provide an opportunity to meet and share experiences. For those of you outside the countries listed above, the Google Anita Borg Scholarship program is also available in Africa, Australia, Canada, China Mainland, Taiwan, India, Europe, the Middle East, New Zealand, and the United States. Last week we hosted our first GOMC Learning Series and discussed how to incorporate Google+ Business Pages as part of your team’s online advertising strategy. Join us for our second Hangout on Air next Tuesday where we will cover the AdWords side of the competition and give your team some tips to set up a successful AdWords campaign. If you have questions that you would like answered, we encourage you to submit them via Google+ or Twitter using the hashtag #GOMCseries or by completing the form here. We’ll collect a list of questions and answer them live during the Hangout on Air next week! conference, happening this week in Lyon, France. While we’ve been a member and supporter of the community for years, we’re excited to bring the research at Google discussion to Google Plus for the first time. This Wednesday, April 18 at 16:30 CET, members of our technical team will be hosting a Hangout on Air live from the Google Booth at WWW. Tune in at Google Students page on Google+. Our technical team is taking on topics like the interplay between engineering and research required for product innovation and tips on how to be a well-rounded researcher. We’re taking your questions too about research at Google and Google at WWW -- the very conference to which Larry and Sergey published their paper on PageRank more than a decade ago. Submit your questions (and vote on others) on the WWW 2012 Google Moderator page or via Google+ using the hashtag #GoogleWWW2012 in a publicly shared post. After the conference, we’ll add video of the discussion to the Hangouts On Air playlist on the Google Students YouTube channel. Googlers are taking an active part in the ongoing dialogue with the research community at the World Wide Web (WWW) conference, happening this week in Lyon, France. While we’ve been a member and supporter of the community for years, we’re excited to bring the research at Google discussion to Google Plus for the first time. This Wednesday, April 18 at 16:30 CET, members of our technical team will be hosting a Hangout on Air live from the Google Booth at WWW. Last month we launched the application for the Engineering Trainee Summer Program in Europe. This is a brand new program (modeled after North America’s Engineering Practicum), which will last for 10 weeks over the Summer from July to September with opportunities available in London, Munich and Krakow. The program is targeted at future computer scientists and software developers, particularly those who are historically underrepresented in the field. With the deadline fast approaching (April 27th), we wanted to give you the opportunity to learn more about what the Trainee Program has to offer, the recruitment process and how to apply. Please join myself and Farrah Djohan, another recruiter here in London, during a Hangout On Air on Friday, April 13th at 4:30 pm London time (http://goo.gl/PHNnH) to learn more. Want to know more about the intern recruitment process in Europe as well? We will be happy to answer any questions you may have. Submit your questions on Google+ using the hashtag #ETSPhangout. Katie Zhu, 20, undergraduate at Northwestern University, studying computer science and journalism. These students have big plans that range from producing hyperlocal data-driven stories, to developing open-source apps that allow for democratic news gathering and greater collaboration, to data visualization for current events and entertainment, to producing political news games and teaching journalists how to code. We hope these scholarship winners, and their future projects, inspire the broader journalism community to keep rethinking how to report and share stories through new technologies. For all undergraduate and graduate students already brainstorming ideas for next year, read more about the application process and eligibility on the scholarship program’s website. Thank you to the Associated Press and the Online News Association for making this scholarship program possible, and we look forward to seeing the impact these students have in their communities and in journalism. The Building Opportunities for Leadership & Development (BOLD) Diversity Immersion Program for Freshmen is designed to provide exposure into the technology industry for students who are historically under-represented in this field. Google invites current undergraduate first years to apply for a unique summer experience over four days at Google’s Headquarters in Mountain View in early August. The BOLD Immersion Program for Freshmen will provide participants with a rare glimpse into the technology industry; career opportunities at Google; and valuable professional and peer networks. We encourage students to take a chance and discover what it's like to work at a technology company, particularly those who are pursuing non-technical degrees. This summer experience includes an all expense-paid trip to Google’s Mountain View Headquarters and a robust program including tech talks, skill-building seminars, and of course, fun! We will have social activities, community and network building, and the opportunity to develop relationships with not only peers, but Googlers as well. Hear about it from the mouth of a past participant here! Current Freshmen can apply through our Scholarships & Programs site by Friday 4/6 at 11:59pm PST. The BOLD Immersion application consists of a general application, a resume, a short essay, and a reference letter that need to be completed by April 20th.